Dentist Chesapeake | Why is Flossing so Important? You always hear from dentists that you need to brush AND floss. But why? Isn’t brushing enough? At The Center for Cosmetic & Restorative Dentistry in Chesapeake, we’d like to explain a little bit about why flossing is such an important part of your oral health. According to the American Dental Association (ADA), flossing at least once a day is necessary to maintain optimal oral health. Why? Flossing helps you successfully remove plaque and bacteria from in between teeth where a toothbrush can’t reach. While a toothbrush is great for cleaning the surfaces of teeth, when you pair proper brushing with a daily flossing routine, you’re not only removing plaque before it can harden into dangerous tartar or calculus, you’re also reducing your risk of cavities and gum disease. With the number of dangers directly related to gum disease (heart disease, strokes, even some cancers), flossing is something you shouldn’t ignore. 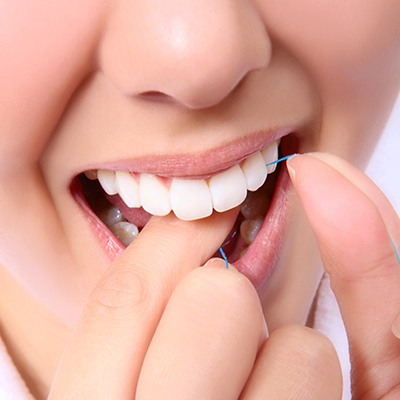 When you first start on a daily flossing routine, you may experience some discomfort. However, it’s really important that you don’t stop. If you’re still experiencing discomfort after a week or two, call your dentist in Chesapeake immediately. If you’re due for a checkup, are experiencing discomfort during flossing, or are in need of a professional cleaning, we can help. Call The Center for Cosmetic & Restorative Dentistry to schedule your appointment today.